Sarah has no memories. She just knows she was found, near death, on a beach miles from her London home. Now she is part of a medical experiment to see whether her past can be retrieved. As she fights to regain her memories and her sense of self, it is clear that people are hiding things from her. Who are they protecting? Does Sarah really want the truth? "An unsettling psychological thriller and compelling mystery." "This was a very good debut by the author... Definitely recommend for anyone who is a fan of psychological thrillers." "[Sarah] was certainly clever, quirky and mysterious – I was desperate to know how the story unfolded. And OMFG – when it did….BOOM! Would I recommend this book? That would be a definite HELL YEAH!" "For me it was a clever and different take on the psychological thriller, written beautifully and plotted in a gentle, darkly realistic feeling manner and it was a fully immersive read that I loved." "This is a beautifully written book. Full of secrets, intrigues, suspense, and mystery it is a psychological thriller that keeps you guessing." "What Was Lost is a gripping novel which caught my attention right from the start." "Engrossing, compelling and fascinating until the very last sentence, What Was Lost is a clever debut by a talented writer whose love of language and creativity shines through with every well written word." "A highly recommended read from me and one you might want to set aside some dedicated reading hours for – once you start it’s hard to stop!" "This is a well written, interesting novel that captures the narrator's predicament effectively and with skilful prose. Levy's writing is assured, confident and engaging." 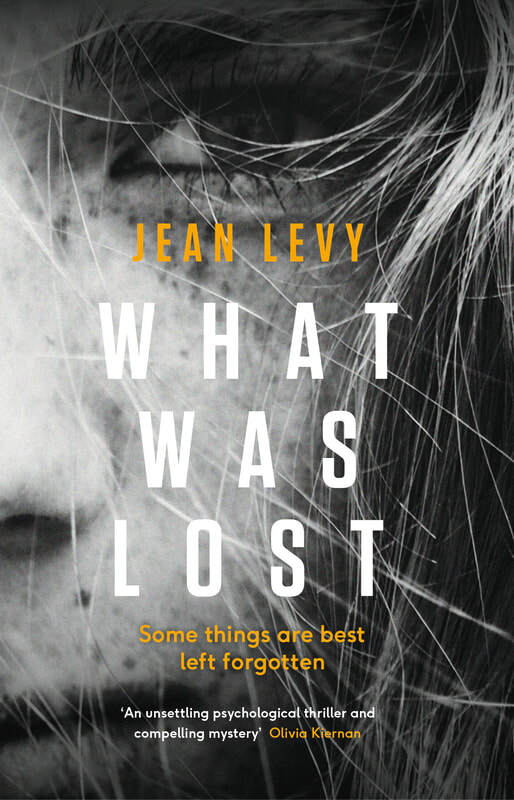 "What Was Lost is a compelling literary read - an in-depth multilayered psychological thriller based on science that's designed to question, explore and entertain." "I absolutely loved What Was Lost; it is an intriguing and intelligent psychological drama and I wholeheartedly recommend it."